Sorry folks you have been too slow, i have agreed the sale of Montana and taken the deposit. Pride has produced the first foal of the season and has done us proud. Montana is beautifully marked, seems to have a friendly, sensible temperament and looks like growing up to be a very handsome horse. She is by Freedom and that, combined with the fact that she is Pride's first foal makes me think she will make about 14.2hh however she looks small at present so i am saying 14hh, but of course no one can ever really tell. As we are visiting Montana this summer it seemed an apt name for her. Montana is now with her new Mum, Sandy. Above is Ellerbeck Windblown who popped out running and hasn't stopped since. This is a strong boned colt with a confident attitude, he really reminds me of his dad Freedom. I have no idea how big he will make, I am guessing that he will end up around 13.2hh. Mum is supposed to be 12.2hh but I have never measured her and dad looks like making 14.2hh but is still only three. Grand-dad is of course John Wilf who is about 15hh and very strong. Windblown is now sold and once gelded will be going up to Scotland to live with Mandy and family. Gala has excelled herself this time and produced a large, white-faced, filly sired by John Wilf, her fourth filly in a row, what a tremendous mare she is. We had to get the vet in to help as a foot was way back doubled up across her chest and no way was Gala going to manage to foal her unaided but once again I received fantastic service from our local veterinary practice, Frame, Swift and partners who magically managed to save the filly and probably the mare if the truth were known. She was so big and bent that, to begin with, she just couldn't manage to stand to suckle so I milked mum and bottle fed the foal till she could master the skill of suckling. Hopefully all will progress positively now and eventually i suppose i will need to think of a price and part with her but at present I am still feeling she is my little baby. Update, Carnival is turning out to have the sweetest, quietest, temperament and is getting stronger and more striking in appearance every day. Whenever I visit her field she strolls over for some attention and she certainly has a leg at each corner and is going to be tremendously powerful. She has tested homozygous for black and the tobiano pattern and is growing very big now, looks as if she could exceed 15hh. This guy arrived in the early hours of 26th June 2008. He is strong-boned and has a friendly temperament and i must say is very appealing. He is full brother to Ellerbeck Freedom but I rather think he will end up bigger. He is a great colt, loads of character and a little monkey, his 20 year old mother has her work cut out with him i can tell you. Now I have weaned Fabian i realise what a special guy he is. So intelligent and trainable and very athletic, he is the sort of horse you keep for life but I have plenty here so I hope I find the perfect partner for him eventually. I have been slow getting this one on to the site as he was born just a few days before we set off for the States. 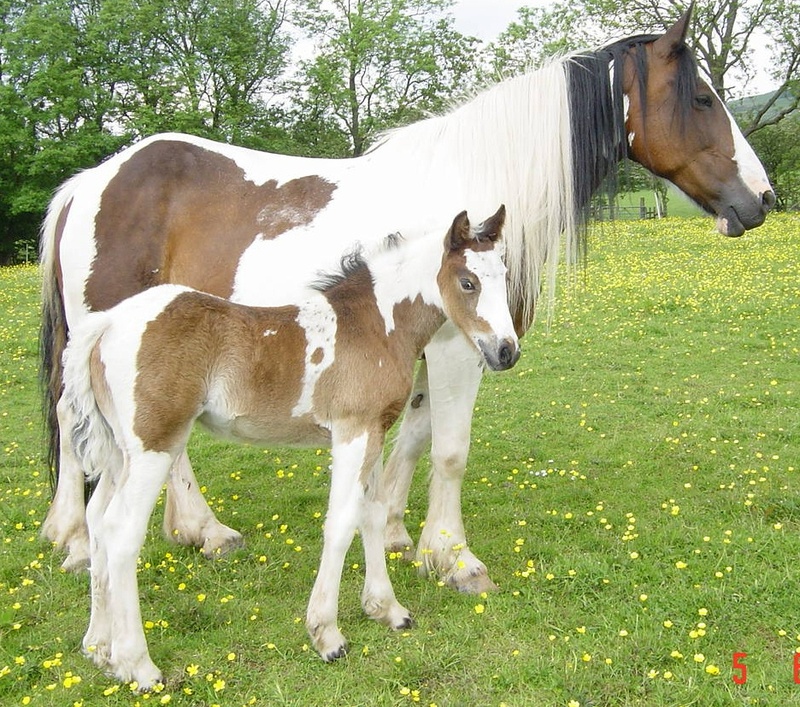 He is a real strong block of a colt with pretty markings and is out of a tough hairy mare and sired by John Wilf so he is very much the traditional stamp of horse. 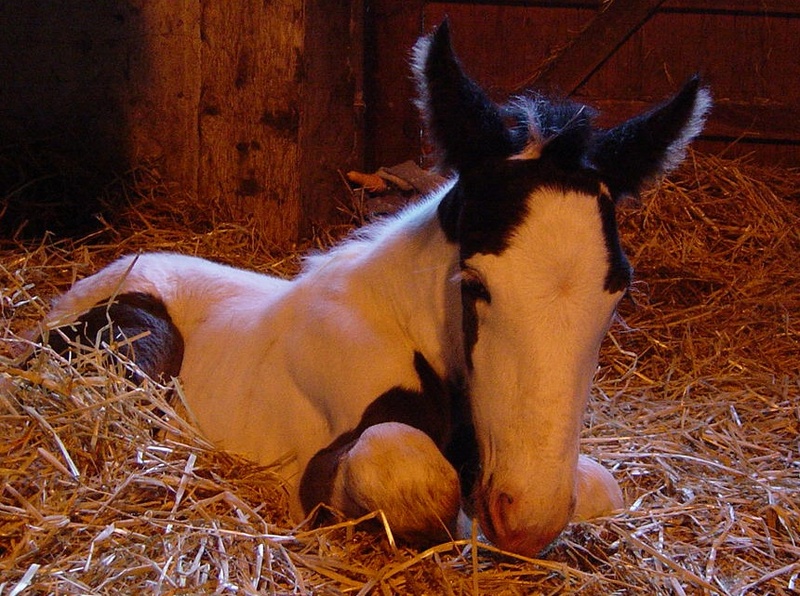 He will be available for sale to a good home though cannot be weaned until after christmas this will be the last foal we have here from his mum as she is off home to her owner at weaning time. I also still have his yearling brother who is now gelded and is also be available for sale (Khan aka Ellerbeck Admiral). Khan has now found a great home too.